The feast of the Kazan Icon of the Mother of God is the patronal feast of our parish in Urbana, Ohio. On November 4, 2018, the feast of the Kazan Icon, His Eminence Archbishop Peter of Chicago & Mid-America made an archpastoral visit to the Urbana parish. His Eminence was joined by Archpriest James Rohrer, Rector of the parish; Archpriest Gregory Joyce, Secretary of the Diocese; Deacon Alexander Petrovsky of the St. George Parish in Cincinnati, OH; and Deacon Dmitri Kashchenko of the St. Vladimir Parish in Ann Arbor, MI. 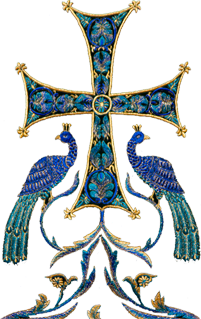 At the small entrance at the Divine Liturgy His Eminence awarded Archpriest James Rohrer the Jeweled Cross for his many years of dedicated service to the Kazan Icon parish. A special choir was assembled for the feast from the Cincinnati and Ann Arbor parishes under the direction of the Chair of the Diocesan Liturgical Music Committee, Larissa Sander. Archbishop Peter gave a sermon on the significance of the Kazan Icon in the life of the Russian Church. Following the Divine Liturgy the faithful gathered at a local restaurant for a meal to mark the occasion.